As the wedding season winds down, we finally have time to gather up all of the photos from the past few months and organize our favorites. 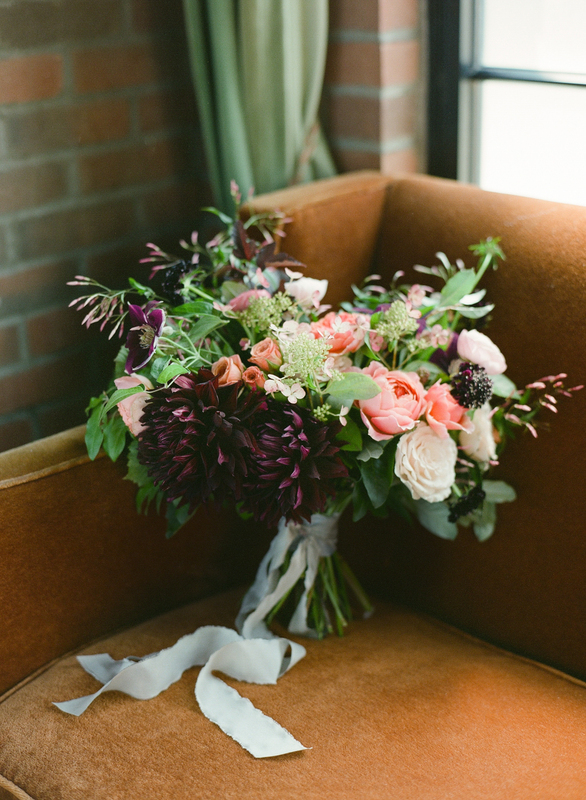 Here is a beautiful late summer wedding that we did at the Bowery Hotel. 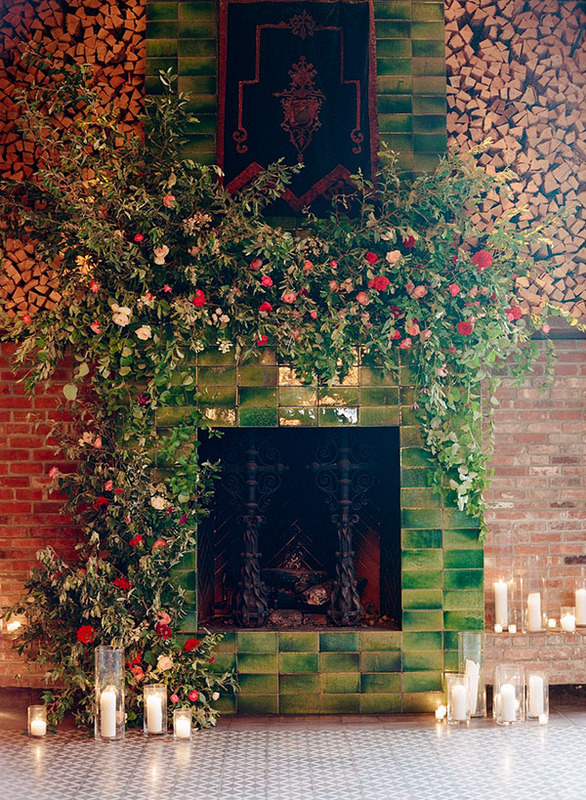 We always appreciate when clients let us play with installation for any aspect of their event–the incredible green tile fireplace in this space makes for a really lovely start to a floral ceremony installation. We loved this event because Danielle was excited about color! It was so much fun to play with the bright pops of summer color while giving a nod to the darker tones of fall. Loved everything about this palette. Head over to our portfolio page to see the full post. Congrats, Danielle and David!